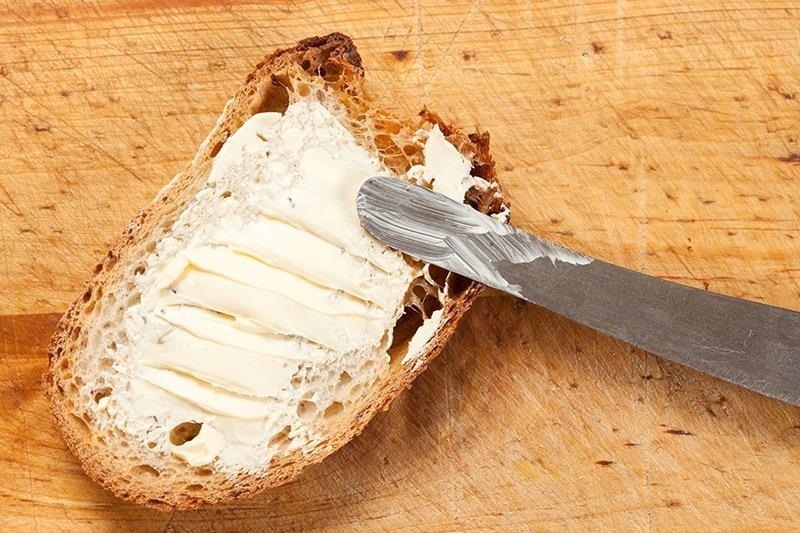 We've already taught you a few tricks for getting chilled, rock-hard butter to spread easily on toast, and some of you probably bypass that issue entirely by purchasing spreadable butter from the supermarket. But why waste your money when you can make a healthier, tastier version at home for a fraction of the cost? In fact, Live Pretty estimated that while a container of spreadable butter cost $3.79, making an equal amount at home came to $1.10 instead. Of course, the savings will vary depending on how much groceries cost in your area and what ingredients you use, but in general, it will always be cheaper to make it yourself. The truth is, making spreadable butter is almost embarrassingly easy. You could even take it step further and start by making your own butter, which is also easier than you'd think. Once you know how, you can customize it to suit your tastes. Another good reason to start making your own is that most spreadable butter on the market (or "tub butter" as it's sometimes known) is usually made with genetically modified canola oil, which potentially has some health drawbacks. Keep in mind that many spreadable butters say they use a very healthy ingredient like olive oil, but if you've read our guide to choosing real extra virgin olive oil, you know that a lot of those claims are false. What they're actually using is adulterated olive oil that has very little of the taste or health benefits of the real thing. When you make your own spreadable butter, you can use any kind of oil, whether it's extra virgin olive oil, hemp seed, flax seed or some other cold-pressed, unrefined oil that's good for your heart and has more flavor than canola. The only oil I wouldn't recommend using is coconut oil, since it solidifies at temperatures below 76°F and defeats the purpose of making soft-from-the-get-go butter. 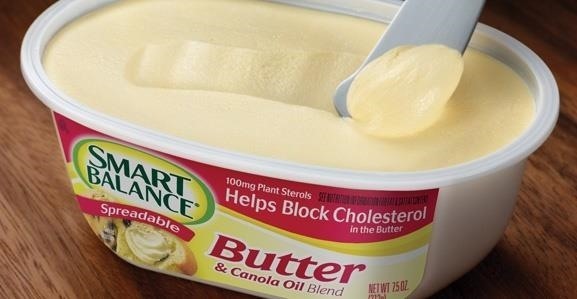 All you need to start your buttery journey is a container, a stick of butter, and the oil of your choice. For the container, I prefer glass since it's easier to clean between uses, but plastic is fine, too. If you're not sure what type of oil to use, do a taste test with whatever you have on hand: smear a little butter and a few drops of oil on a good cracker or piece of bread. Remember to control yourself or you may end up doing far more "taste tests" than strictly necessary. Once you've found the combo you're happy with, set out one stick of butter (half a cup) to soften to room temperature. 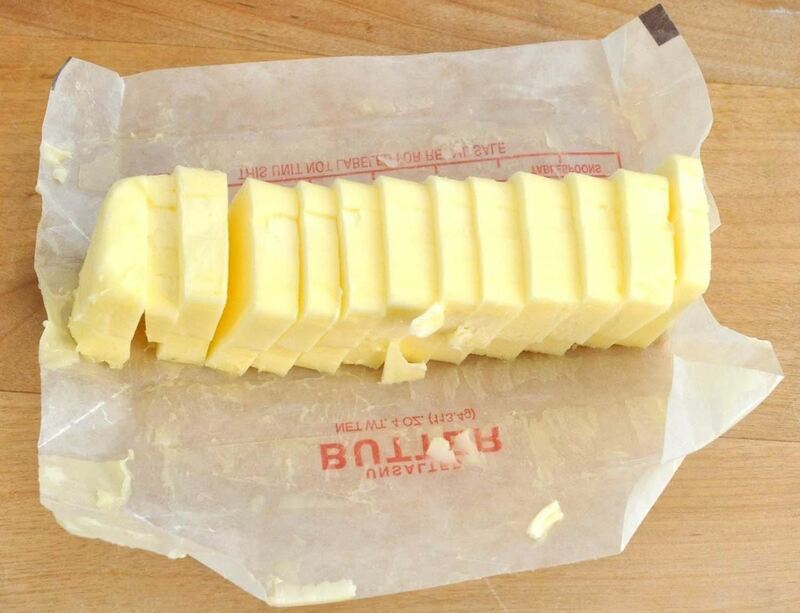 Next, cut the stick of butter into several pieces for easier mixing and place them in your container. 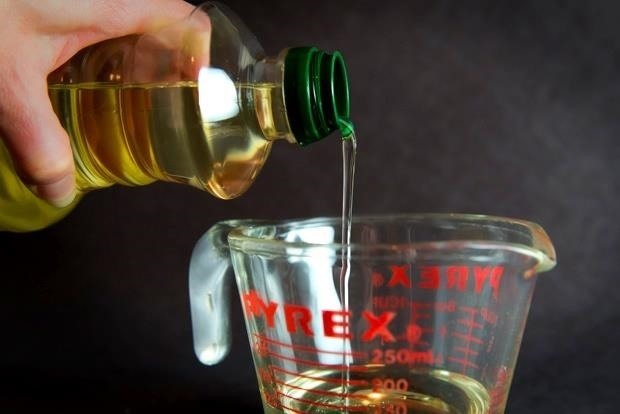 Add 1/3 of a cup of oil. Mix well with a fork or wooden spoon until the ingredients are completely blended, then refrigerate. Voilà! You now have tasty, relatively healthy spreadable butter. You can easily double and triple the proportions to make bigger amounts, too. 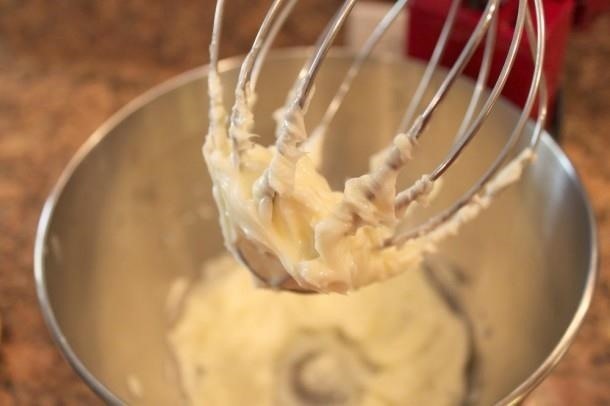 Some DIY cooks recommend using food processors and hand blenders to get the butter to a creamy, whipped consistency, but I always skip this step. I personally hate dirtying a kitchen appliance if I don't have to. Plus, it seems like a lot of butter gets wasted in the process, since much of your effort ends up stuck to the bowl and mixing blades. Don't melt the butter to speed up the process. Heat changes the structure of food. If you melt the butter and then add the oil, your mix can become grainy in texture or separate once you chill it. So, now you have your B.A. in spreadable butter. Let's move on to the graduate studies portion where you can add salt and other flavors. Spreadable butter is a natural vehicle for flavor, being a blend of two premium types of fat. You can add a quarter to half a teaspoon of really good sea salt if you like salted butter. If you have leftover fresh herbs in your fridge, mince them fine and incorporate them into the butter before you chill it. Chervil, thyme, sage, chives, parsley, tarragon, dill, or any combination of those herbs make great additions. I tend to use rosemary and oregano in small amounts since their flavors are so strong they can easily overwhelm the others. 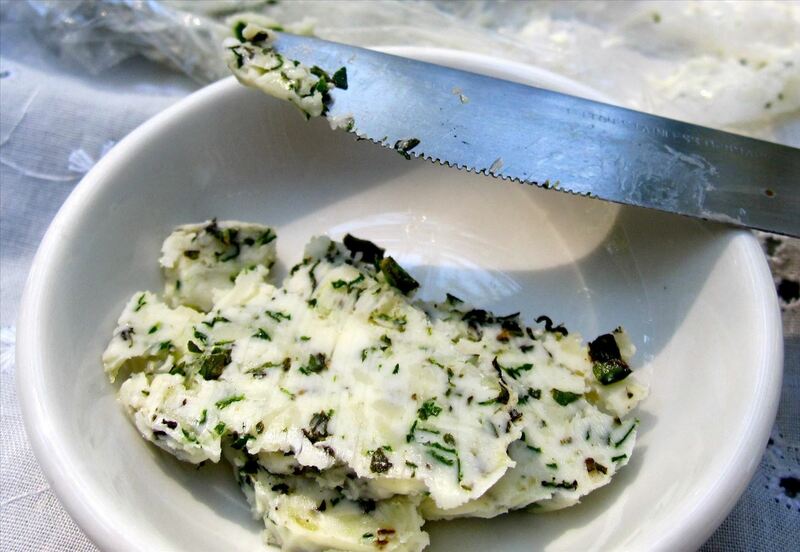 If you do use herbs in your spreadable butter, make sure to add a little salt and freshly ground pepper to taste. The last two ingredients really amp up the flavor. Herbed spreadable butter tastes insanely good as a spread for sandwiches, it makes roast chicken more flavorful, and is perfect to use for deglazing a pan. If you're a butter fanatic, you might even be tempted to eat it with a spoon straight from the container. Personally, I've never done this, but some of you might. How To: Stop Natural Hair Shrinkage!! I find that 1/2 cup oil is enough for 2 sticks of butter, making it a little healthier. It's firmer, but softens for spreading very quickly. On another note, I tried making my own butter, but whipping cream isn't quite the same as plain heavy cream, so I guess I'll just keep buying the cheap store brand butter. I did it with sun dried tomato. And its amazing. Oh, crap. I go to a health site and find bs about how GMOs are bad. Bye now. Don't add oil to your butter, ssrsly this is dumb. Just leave regular butter out on your counter at room temperature, maybe in a butter dish, maybe just in the wrapper. It will be soft. And spreadable. and taste like butter, not some weird butter/oil hybrid.